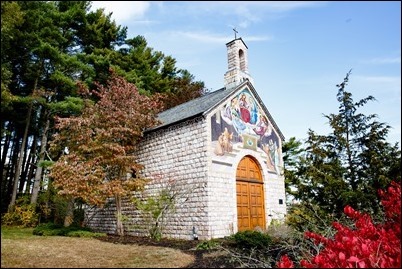 Last Friday, I celebrated the funeral Mass of Father Jim DeAdder at his family parish of St. Michael in North Andover. 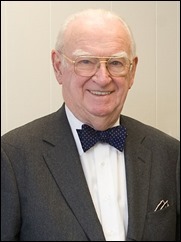 Father DeAdder was a very learned man who had three doctorates, including a doctorate in civil law from Suffolk University. 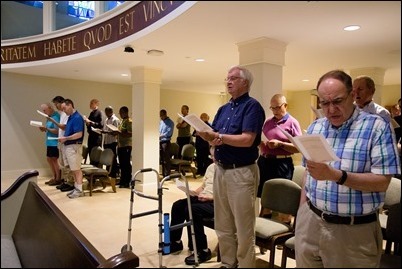 He became a member of the faculty of Pope St. John XXIII National Seminary in Weston from its earliest days and also taught at Emmanuel College as well as other Catholic institutions in the region. 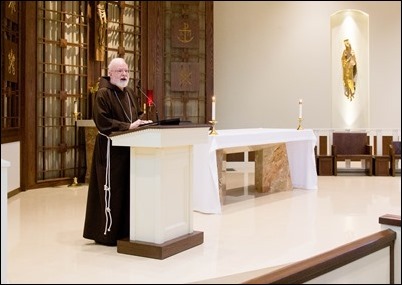 He went on to serve as rector of the Pope St. John Seminary for more than 30 years. He retired in the late 1990s and had been living at Regina Cleri for about the last 20 years. In fact, he was one of the longest residents they had there. 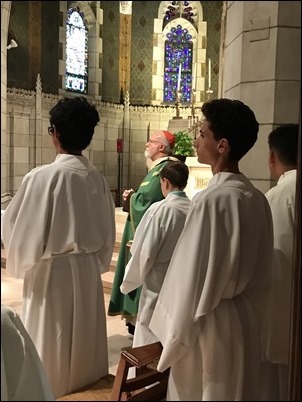 We were happy that so many of his family members, former students and friends were with us for the Mass, including former rectors of Pope St. John XXIII Bishop Peter Uglietto, Msgr. Connie McRae and Msgr. Dennis Sheehan, who served as our homilist. Sunday, I went to Boston College to participate in our Quo Vadis Retreat for high school-aged young men. So this retreat is very much geared around helping young men answer this question of “Where are you going?” through four days of group activities, games, talks and prayer. It is an opportunity for them to deepen their faith and to reflect on what their vocation in life is. 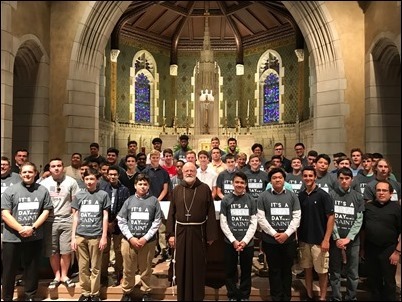 The retreat began on Thursday and the nearly 60 retreatants and their families gathered for the closing Mass with me on Sunday at the chapel in St. Mary’s Hall. It was wonderful to be with them as the concluded this very important experience. 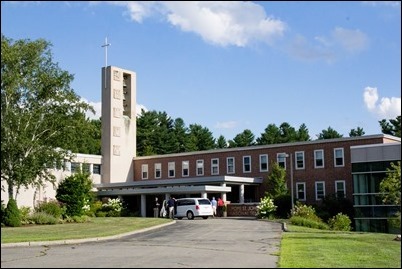 On Thursday, I celebrated the funeral Mass for Jim Mooney at Mary Immaculate of Lourdes Church in Newton. 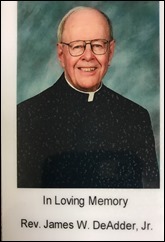 Jim was a member of our Archdiocesan Finance Council for many years and was also on the board of the Clergy Funds and a trustee of the Catholic Schools Foundation. He was also a proud alumnus of Holy Cross College. He and his wife Joan were great supporters of Catholic causes over many, many years and so I was very pleased to be able to celebrate his funeral Mass. Concelebrating with us was Holy Cross President Father Philip Boroughs and Jim’s cousin Father Charlie Higgins, who was our homilist. Before the Mass, were heard a lovely reflection offered by his son, Jim III. Both his son’s reflection and Father Higgins’ homily underscored how Jim’s Catholic faith had formed him and guided him to be such an extraordinary husband, father and community leader. It was truly a very edifying and beautiful experience. 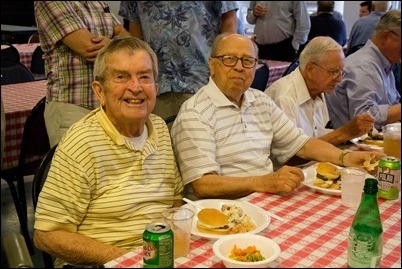 Thursday evening, we had our annual Vianney Cookout for the priests of the archdiocese. 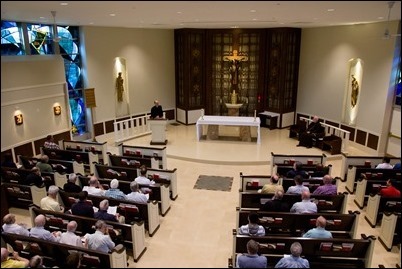 We hold this gathering each year around August 4, the Feast of St. John Vianney, the patron saint of priests and particularly of parish priests. 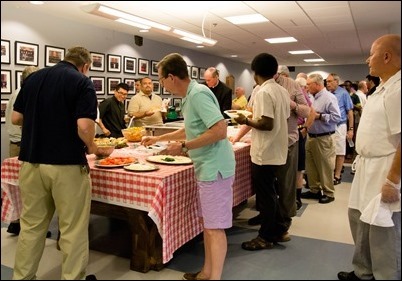 It is an opportunity for the priests together during the summer to pray and enjoy a meal in a relaxed atmosphere. 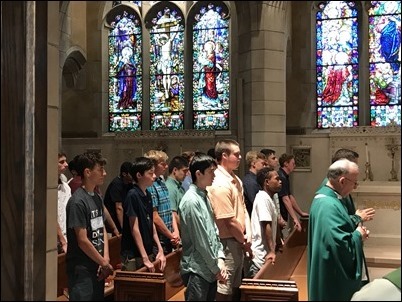 For many years it was held at St. John’s Seminary, but for the last couple of years it has been held at Pope John XXIII National Seminary. We are very grateful to Father Kiley for hosting us. As we always do, we began our gathering with Evening Prayer followed by a barbeque. 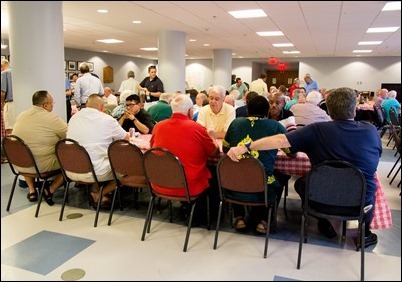 As I mentioned, the cookout is always held near the feast day of St. John Vianney, and this year happened to fall on August 2, the Feast of the Portiuncula, which is a very special feast for all the branches of the Franciscan order. St. Francis had a great devotion to the Holy Land and went there on pilgrimage himself, but he realized that most people would never have that same opportunity. 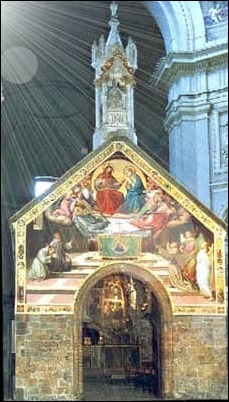 So, he asked the pope to grant the same graces and indulgences that they would receive for making a pilgrimage to the Holy Land to those who made a pilgrimage to the Chapel of Our Lady of the Angels (also called the Portiuncula) in Assisi. The request was granted by Honorius III and later was extended to those who made a pilgrimage to any Franciscan church or oratory. Those who go to Assisi can still visit the tiny Chapel of Our Lady of the Angels, which is now inside the Basilica that was built over it. 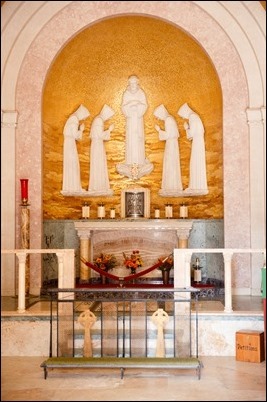 Since many may not be able to make it to Assisi any time soon, I always like to remind people that in our own archdiocese we have a beautiful replica of the Portiuncula on the grounds of the Cardinal Cushing Centers in Hanover. 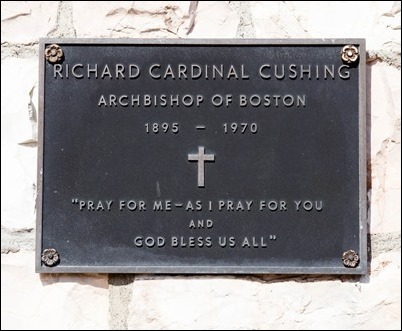 It is in that chapel that Cardinal Cushing is buried. I encourage all of you to visit it sometime if you have the opportunity.